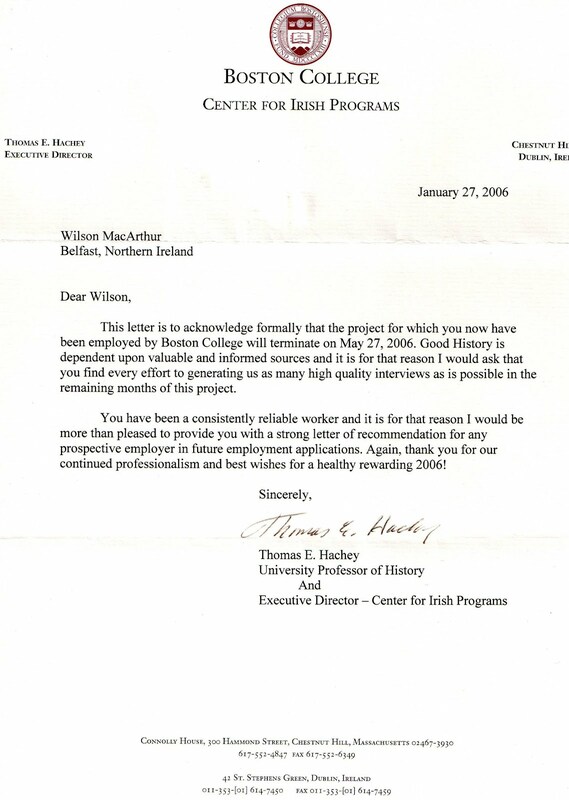 "From the very beginning of this project, which was conceived by Ed Moloney -- he approached Boston College with the idea to record conversations with former paramilitaries from the IRA and the UVF, and he asked if we would be interested in being a repository of these materials. 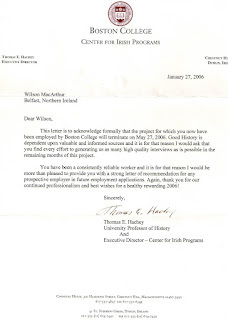 Boston College is America's leading institution on Irish studies, Irish history, Irish literature. We agreed to add it to our extensive holdings as one more example of something that could be used as a resource for future historians, for journalists, etc., regarding the Troubles." -- Jack Dunn, RTE Interview, Jan. 25 2012 (since pulled), describing BC's passive, recipient-only role in Ed Moloney's Belfast Project. The person you've chosen as the public face of your university is embarrassing you, and you should make him stop. It is strange that he he has been so poor at the job. There are clever lies and stupid lies. Jack would have us believe he came down from the beanstalk.